Things don’t always go perfectly. You’ll find people are very willing to answer a couple questions, and then they lock themselves away and they’re just trying to figure out ways to put one over on you. In note investing, you will most certainly encounter the note from hell. 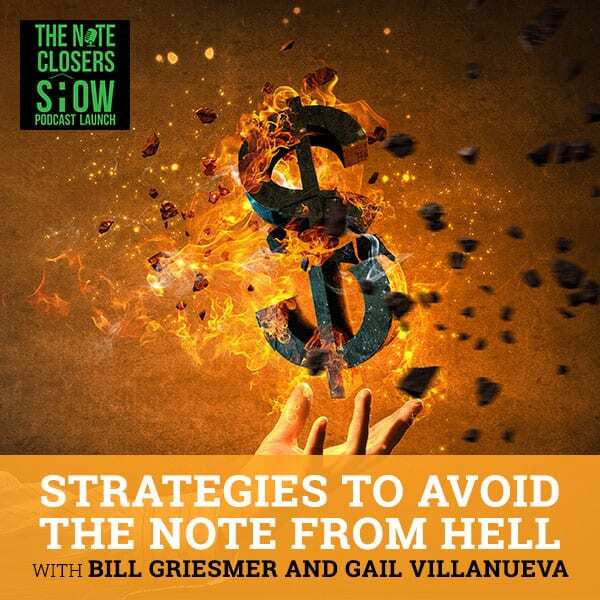 Bill Griesmer and Gail Villanueva talk about their various experiences in note investing, share some things that new note investors and note business people should be looking out for, and provide some advice for people just starting out. They say a good point with the note business which people don’t often think about that is that you always have to have an exit strategy and you always have to try to be one up on everything. 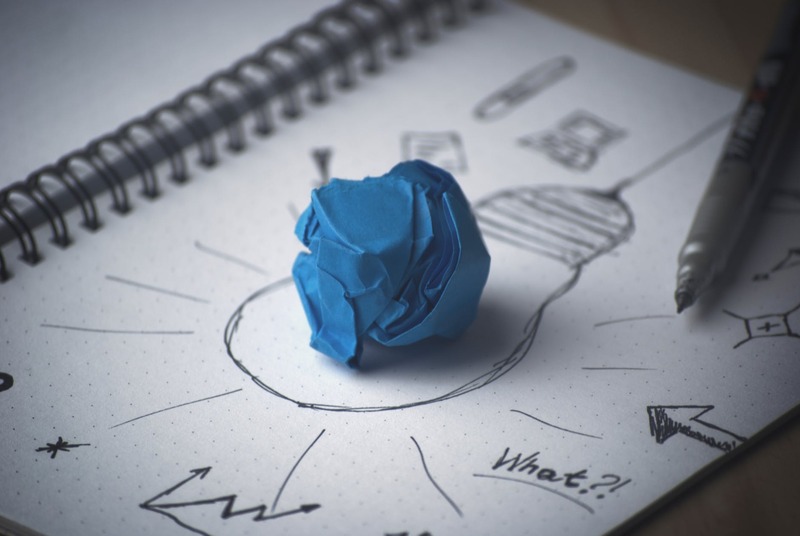 Learn more about how you can avoid pitfalls and how to design the notes in order to maximize its worth. 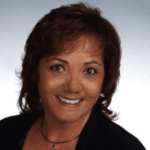 I’m Gail Villanueva, Noteworthy Investments, with Bill Griesmer, Stonegate Capital. We are your guests hosts while Scott’s off on vacation. 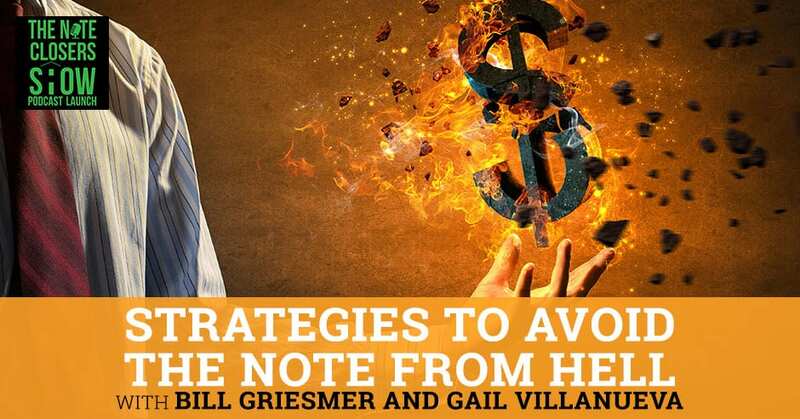 We’re going to be talking about the Note from Hell with Bill and also, we’re going to be talking about other things that new note investors and note business people should be looking out for. Bill, do you want to take it from here? Some advice for people just starting out, Gail and I have been having some success in this but things do not always go perfect. There was one note that I bought a couple of years ago that earlier this year I finally got resolved. This note was a performing note when I bought it and then the borrowers never made a single payment after I had bought it. They had made the payment the month before and had been paying pretty consistently, but I don’t know if they figured it would get lost in the paperwork or what have you, but they never made a single payment. At the same time, the servicer that it was with Pika, they decided to leave the servicing business so the transfer got very complicated. Right along the way, the borrower stopped paying. I eventually had to involve an attorney and the borrowers did agree to leave and took the house back. The house was a wreck. I learned the house was in such poor condition, so I tried to sell it via a realtor right away. It didn’t have a furnace, didn’t have a hot water heater, and multiple holes in the house. I hired a contractor and the contractor did not work out well either. He started off doing some good work, but then he decided to walk away from the project and I fired him shortly thereafter. Tell us if there were good news ending on all of this after you went through all that. With the input of some other veteran note investors, I did end up selling the house via seller financing. I made my own note out of it. It was a win-win situation all along. I was able to sell it to a young family and they had some skills and some tools to perform repairs to the house. They were able to buy the house with principal interest, tax and insurance for about $150 less than it would to comparatively rent the house. While I was doing that, I also talked with FINAC about how to design the notes in order to maximize the worth. Terms are very variable when you’re putting together and designing something like that. The overall impression is don’t expect everything to be perfect with regards to either the notes business or with an individual note. Perfection does not exist. Note From Hell: Don’t expect everything to be perfect with regards to either the notes business or with an individual note. Perfection does not exist. Were you able to make a profit eventually on this or did you break even? Were you hurt pretty badly on this one or not? I will eventually make money on this. In a couple of years, if I decide to sell the note, I could even cash out and break even or even make some money on it. That’s after a lot of things went wrong. That’s a good point with the note business. People don’t often think about that. You always have to have an exit strategy and you always have to try to be one up on everything. It sounded like you were ready and you were in place. The whole thing about the business is that we do have this cadre of a network that helps out and is there for us. It’s gotten better for you since then too. I know you’re making a name for yourself in the note business. One thing about the notes business is, like Scott likes to put it, there’s a lot of coopetition. Some of the very successful people that are already doing this business, such as Scott but even others like Wayne Snell, Dan Zitofsky, Cody Cox and David Putz. These people legitimately want you to succeed. You’ll find people very willing to answer a couple questions for you. They don’t lock themselves away and try to figure out ways to put one over on you. There are trillions and trillions of dollars with the non-performing debt out there. What we’re doing is we’ve made a business model and finding these and then going ahead and improving them, allowing people to stay in their homes, in most cases, and moving on. It’s good that you had a backup plan in that particular case with your note. When we buy notes, people don’t realize we have to think of all these contingencies that can happen. What advice would you give to someone because we’re talking about people investing in notes for the first time and we’re talking to people coming into the note business for the first time? Looking back when you first started a long time ago, what advice could you pass on? You always hear this but you want to try to think about where you’re at, your circumstances and what you want to accomplish. That helps you set your goals. One of the common themes I heard at another conference, Magnify Your Wealth Summit, is starting with the end in mind, the old Stephen Covey saying. I come back to that because that will help you make decisions and help you frame or design your plan. For example, if you like land-lording, you can use notes in order to acquire more houses. That’s going to affect the types of notes that you look at. If you have someone that hasn’t made a payment in two years, there’s a very good chance you’ll end up foreclosing and you could end up taking that house back. If that’s your plan to try to rent these out, then that would be the type of note you would want to pursue. By contrast, if you were after trying to get people to reinstate, that’s much closer to what I’m trying to accomplish, you’re generally going to try to shy away from houses or from notes that don’t have at least somewhat recent pay history. You’re trying to get a note that has at least one or two payments within the last year. 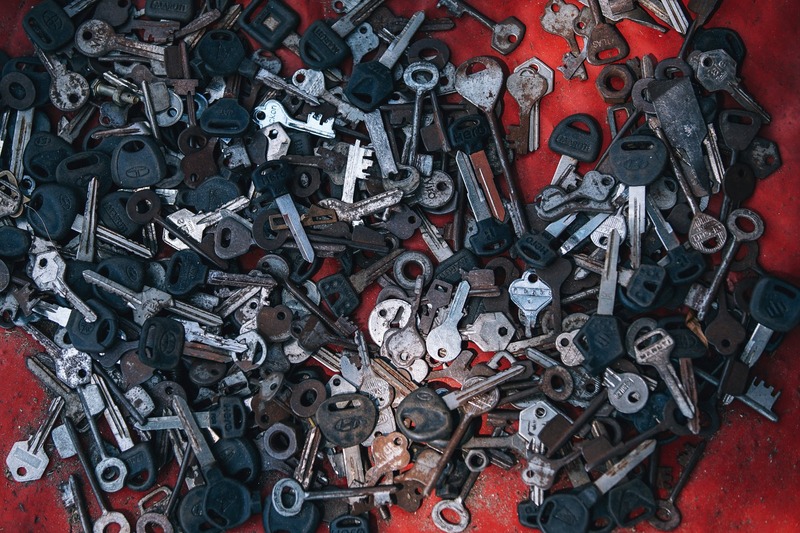 You’re generally going to have more success trying to either reinstate the mortgage or a trying to modify the mortgage or something under those circumstances. Let’s face it, if you haven’t paid a thing for four years and then someone says, “You’ve got to start paying on this again,” that doesn’t always work out well. That’s one thing off the top of my head. Just set your goals and think about what it is exactly that you want to accomplish. A couple things, a lot of them Scott has talked about. On that note, I didn’t know any better at the time. I’ve since learned a lot. It is so vitally crucial to have someone out to see the property, most likely and most preferably, by far, having a local realtor out to look at it. If I had done that, I probably never would have bought that. Another thing that we learned through Scott and We Close Notes is the importance of checking utilities. If I had done that, I would have learned that they did not have water utility and power hooked up. They were living in the property without water and power? That is correct. As it turned out, they were stealing water from the next-door neighbor. They had it jury rigged. They had the water meter laying in the corner of the basement and they were getting by without power and heat. It amazed me. They had young children living in that home as well and a broken window. This is in Ohio, it can be a cold climate up here. It’s not exactly Game of Thrones, “Winter is coming,” all the time but especially in the winter, it can get cold. With those two things in mind, those were two big things that I’ve learned better that I will have corrected since then. That is now part of my extended due diligence on every single note and property that I look at. 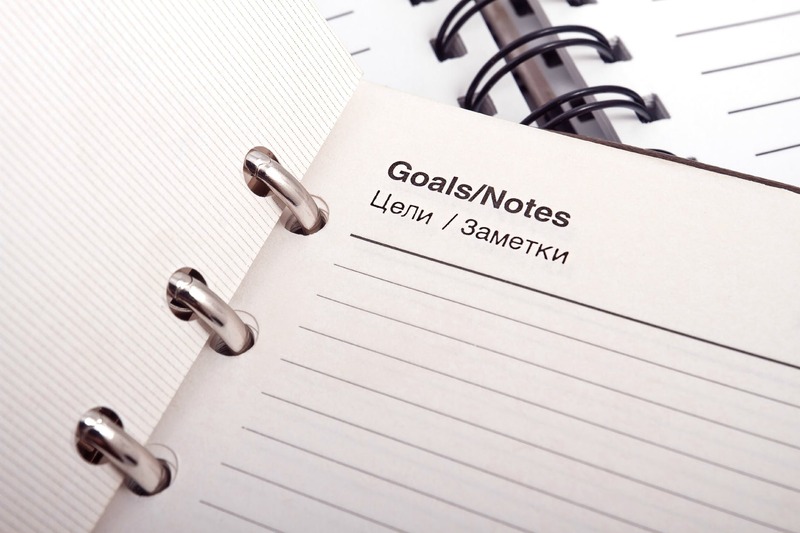 Note From Hell: Set your goals and think about what it is exactly that you want to accomplish. That is an excellent point too when you talk about the due diligence process. As we learned from Scott, you can do too much due diligence and then just be paralyzed with fear and moving forward. Sometimes when you’re starting something new, it’s that jumping off point and starting. Doing the due diligence in the front end is always very vital. You can always, and people don’t realize this, put the note under a contract and then go back and do it. If something happens, you can fade or bring your bid down a little bit or you can go ahead and pull it out completely. The big thing is just starting off and doing that first one, and then the second one. You think back while you’re young, when you were starting to walk, you always fell. There’s a reason you don’t fall face first. You don’t fall face first and you’re not going to fall face first in the note business. You’re not going to die. You don’t have to know everything to get started. You just have to know where to go for help. There are a lot of senior note investors that can help you with things. WCN, we have a very active Facebook group. Every day, there are five to six posts and you’d be amazed at the quality of feedback that you can get on there. Today, it’s easier than ever with social media. If I can help people in the audience, by all means, feel free to do that. I was talking with newer note investors, Clifton and Rob, at the conference and I told them, “Feel free to call me. Contact me via email, phone call, text, smoke signals if you want. It’ll all work.” Feel free to contact someone for help. There are places to go for help. 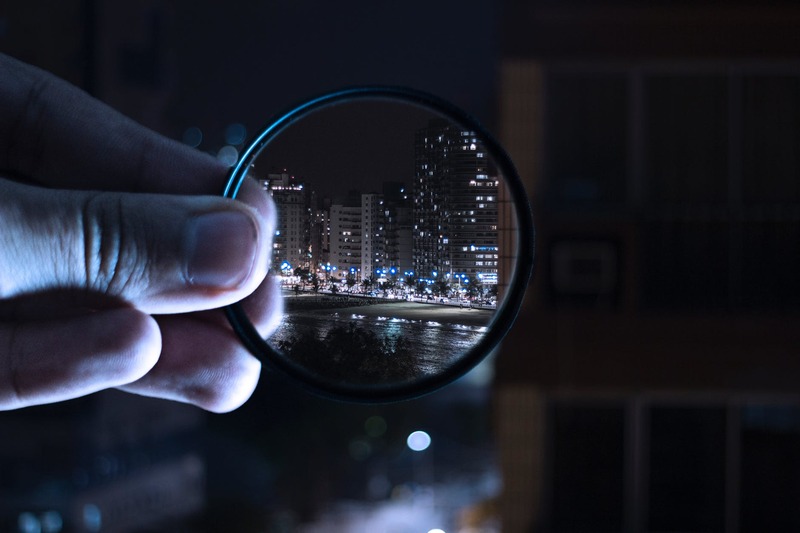 There is and to point another famous phrase, “Done is better than perfect.” A lot of folks say, “Why does everybody help each other?” It’s because you and I are not looking at the same markets. You and I do not have the same parameters that we’re trying to find these specific notes. We’re not bidding against each other because there’s so much business out there. You may be having a note source. I may have another note source, so we’re not impeding on each other. It’s a collaborative agreement. I may have a note that you want and you may have a note that I want. There are exchanges that go on all the time. It’s a very tight-knit group that we have become a part of and I’m excited about it. Different people have different goals and different circumstances. For example, when I was talking with Dave Putz, he lives in New Jersey and he even mentioned, “I live in New Jersey, so I will occasionally buy in New Jersey even though a lot of people don’t want to buy in that state or invest in that state sometimes because there are long foreclosure time frames.” If that’s your home state, you have a little bit of an advantage and probably an increased tolerance for something like that. If worse comes to worse and something comes up, I can always drive over or drive out to that asset and get an idea what’s going on myself much easier than if Dave was living in New Jersey and had bought in Idaho. I don’t think I’ve ever heard of anyone buying a note in Idaho, but I’m sure it exists there. The wonderful thing too is the fact that this is a very portable and transportable business. We can be anywhere looking at notes. I’m a former rehabber, so we tend to try to stay in a geographic area. One of the things that is very specific to the note businesses is you’re not stuck into one geographic area. I like my home state of Florida because I know it and I’m familiar with it, especially in the unfortunate circumstance where I have to take the note back and take the property back, then I have the advantage of being able to drive to it or whatever. I haven’t limited myself to the state of Florida just as you haven’t limited yourself to the home state. Everything’s on the internet now. Everything is done virtual. I was talking to someone about that. She’s a fellow realtor and she’s like, “How in the world can you go buy something in Ohio or Indiana or Tennessee?” It’s because the numbers work. I can get people to go and look at it for me and I could go get a broker’s price opinion also known as a BPO in this business or ProTitle can do the title search. You don’t go into it blindly, but you do have this vast array of geography that we can invest in. There are differences across the country, but math is pretty consistent. Two plus two is four, whether here in Ohio or Florida or California or even out in outer space. Note From Hell: Be willing to expand your horizons and try new things. That is the only way to grow whether it’s note investing or anything. I put something on one of my blogs. I said, “I went from zero to 17,500 miles an hour,” and then I realized people probably don’t know what the heck I’m talking about. That’s the speed that you have to go to achieve orbit and stay with it. I did work for NASA for 26 years and retired and got into the note business. I launched a career at a different direction and it’s worked out really well for me. A lot of it is analysis when you get into the note business and I was good at it. That ties into another thing for new note investors to try to keep in mind. I encourage everyone to be willing to expand your horizons and try new things. That is the only way to grow, whether it’s note investing or anything. You can take that and run with that even in terms of your life. I went to San Diego to the Magnify Your Wealth conference. It was put on by Laughlin Associates and I was on the fence about going. I’m about as Midwest as they come and the farthest west I had ever been was Colorado. San Diego, that’s all the way out there. California, they do things a little different out there, but in a good way. San Diego is a beautiful city and I did a lot of new things. I learned a lot about running a business as compared to note investing. They are two different things and if you’re just starting out, you want to have an oar in both of those rivers. They’re both part of your success. Try new things, talk to new people. That’s a big thing. It would have been a big waste of time and money for me to go out there and just sit in a corner and go, “I’m Bill. I’m from Ohio, but I’m not going to tell anybody,” like going top-secret operation covert. That might work in movies but if you’re trying to do business and note investing, it’s not going to work well for you. You’re absolutely right with that because of your sphere of influence. When I talk to people starting in the real estate business or rehabbing or even notes, people say, “I don’t know anybody.” You do. You have a lot of people that you don’t think about. For example, I started talking to my doctor, my dentist, my chiropractor about what are they doing with the money. You have neighbors, you have friends, you have people that want to learn about the note business. You want to have people that want to invest in the note business. I don’t know anybody in this world that only knows one person and themselves. The other point you make, and it’s very important to us, is once we learn about the note business, you continue to learn about the note business, you continue to network and educate yourself, and you invest in your education. There’s a lot going on with that too. You have to network, and you have to do these seminars and conferences. Business and personal development even. Every single person, including me, I’m sure including you and even Scott, every single person in this life has things that they can work on, things that they can improve on. If you’re not paying attention to things like that, it can hinder you. Always be learning, always be looking to improve. That’s a big thing everybody can learn from and take into account in their own life. Just continual improvement, continuous learning, continue to read business books. I picked up this book called Rewire. It’s all about improving your habits. One phrase in there that stood out to me, so many people want to go into note investing and they want to end up leaving their job. The only way you’re going to accomplish that is to establish good routines and systems and habits. You want to be a slave to those habits. The ironic thing is if you become a slave to those habits, you might then have a better chance to leave your job, and so that gives you freedom. One of the things I still struggle with is the vast amount of social media types and how to get your word and your message out there. It’s ever changing and it’s a constant thing. We learned about that in Note CAMP. I outsource mine, I have to admit. I’ve got JD with NoteProz doing my social media and my marketing because it’s a constant thing. Once you get your systems and processes down, then you can go after and you can do the big work, and it’s exciting. We talked about this in Cape Coral. There is nothing wrong with using a pro like JD to outsource some of your social media. There is nothing wrong with that whatsoever. JD does a good job. I’m also a customer of his. I use NoteProz and it actually works out better. No one in this entire world is an expert at everything. That’s all there is to it. Lance Armstrong could teach Bill Gates a thing or two about riding a bike, and vice versa. I’m pretty sure Bill Gates could teach Lance something about computers. Note From Hell: Different people have different goals and different circumstances. We learn from each other and we share our experiences and everything. I wouldn’t have imagined ever doing a webcast. If somebody had told me this a couple of months ago, I would have been like, “Are you kidding me? Are you serious?” It’s been great. We step outside our comfort zone. You’re going to leave room for me to. I’m going to watch this and say, “I should’ve said this and done that.” Do you have any closing thoughts? The importance of taking action, Scott talks about this all the time. For those new investors out there, and I see this in so many people including myself at times that, “If I read one more book or if I read one more article or if I watch Note CAMP for the fourth time,” and don’t get me wrong, there’s a wealth of information there, but you can read all the coursework, all the education material you’d like, but nothing beats experience. I had a trouble transferring a note once upon a time with the servicer. Until you go through that process and you’re talking to Shante Duffy with Madison or what have you, until you go through the process and you see the goodbye letter going out and then the hello letter going out, and you start talking with them, “Tell me where we are with this note. What’s going on with it?” until you go through that process, it’s just the great unknown. If someone wants to reach out to us and talk more about notes in the business or any investments, opportunities, how can people reach you, Bill? My email is WJGriesmer@Gmail.com. My cell phone is 614-284-0071. My company is Stonegate Capital. I’m also a monthly columnist. I have a monthly column about note investing in Think Realty Magazine. I’ll also be on a radio show with Vena Jones-Cox and I’ll be speaking at an Ohio notes conference we’re having near Cincinnati, Ohio. Both Scott and I will be speaking at that conference. I’m Gail “the Note Gal” Villanueva. My company is Noteworthy Investments. You can find me at www.GailTheNoteGal.com to make it easy. My phone number in Central Florida is 321-417-1142. If I could add also my website, my website is StonegateCap.net. Thank you very much. Scott Carson, we appreciate the opportunity to have done the webcast in your absence. I hope you and Stephanie have a great time away from the office getting some well needed rest. For all the audience, we’re going to try going forward to have some fun with this and have a little Scott and Steph experience, try to get them to send in some pictures as they’re out there at these great historical sites in Europe. We’ll try to have a little fun with it along those lines also. Both Gail and I will be on other times here. Thank you very much. It was good chatting with you and the world. Thank you, Gail and Scott.